Hello guys and welcome to the Camouflaged Creepers Mod. This mod changes the default Creeper texture to the texture of the block it is standing on. It supports almost all Minecraft blocks. As this is a Client-Only mod it can even be used on non-modded servers. This mod seems to hit the frames a lot. I use shaders so maybe that's it. Creepers don't render any block type if they are on the edge of a block more then one block from the ground. Creepers don't render any biome type if they are on the edge of a block equal or more then half a block from the block they are standing on. Creepers don't render blocks they are standing on with a depth less then a half block (snow, carpet, pressure plates). Creepers will still render the biome type even if they are using the original texture (trapdoors, sensors, repeater/comparator, flower pots, cobweb). Question! I noticed you mention that this does not work for mod blocks, which is understandable. However, I would like to know what the texture behaviour is, when the creeper stands on a mod block? Does it attempt to use a texture and return a purple-and-black texture, or does it just use its default creeper green texture? Also, is there anything I can do to help, with regards to getting mod block textures added in, for some of the more popular terrain blocks from Biomes O Plenty, and things like that? Would it be helpful to you for these creeper textures to be made and sent to you? 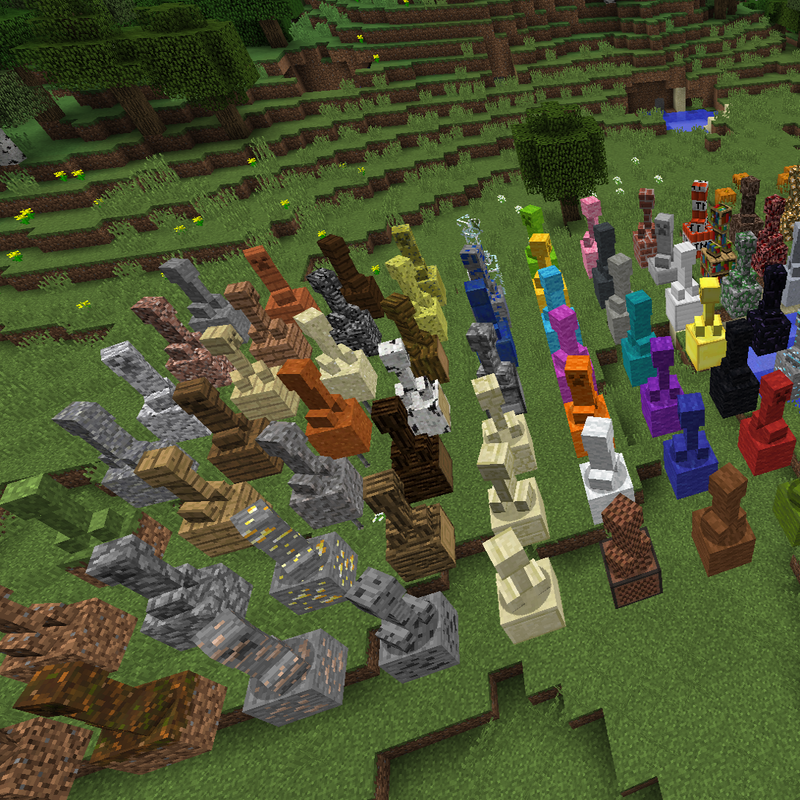 The latest version actually supports mod blocks. If for some reason a texture cannot be displayed the default green one will be displayed instead. you think you could do this with spiders and cave spiders as well, I'd really appreciate it. do they keep changing according to what theyre standing on or they have a preset texture based on where they spawned? They change according to the block they stand on. I didn't upload any image because the mod's title is very clear. The creepers camouflage according to the block they are standing on. In any case I uploaded some. oh... right, well this mod makes creepers miles more scary. you earned yaself a download this looks sweet. Just following up. Any chance you could open source this or upload to github so someone could fix it? Really love this one. Could you add support for 1.10.2? Hi, can you add support for all the Biomes o' Plenty soils? There are a quite a few of them. Or, if you can't add support, at least have the creepers return to default green? Right now they're turning black and pink (the missing item texture). Thanks for a great mod. Thank you for pointing that out. This purple texture was not intended to be in the game. In the next release I will try to add compatibility with every block. Awesome! It's such a great mod... I think most people don't remember why Creepers used to be so much scarier... 1) they actually matched the old alpha/beta grass color and 2) you used to not be able to sprint. Wish there was a way to disable sprinting briefly. The camo fixes at least one of those problems! A GREAT feature for this wonderful mod would be a new potion, attained by using a Fermented Spider Eye to "reverse" a Potion of Invisibility into a NEW Potion of Revealing, which when thrown as a splash potion at a Creeper, would revert them to their Vanilla appearance for the duration of the potion effect now applied to them. Thank you for your suggestion! The thing is that this mod is now client-only, so I cannot really add anything. Maybe make it an aspect of something else? Like, 'if -potion_effect:X- then -creeper_texture:Default'? Like maybe nightvision also clears away a creeper's camo. The mod has support for modded blocks?